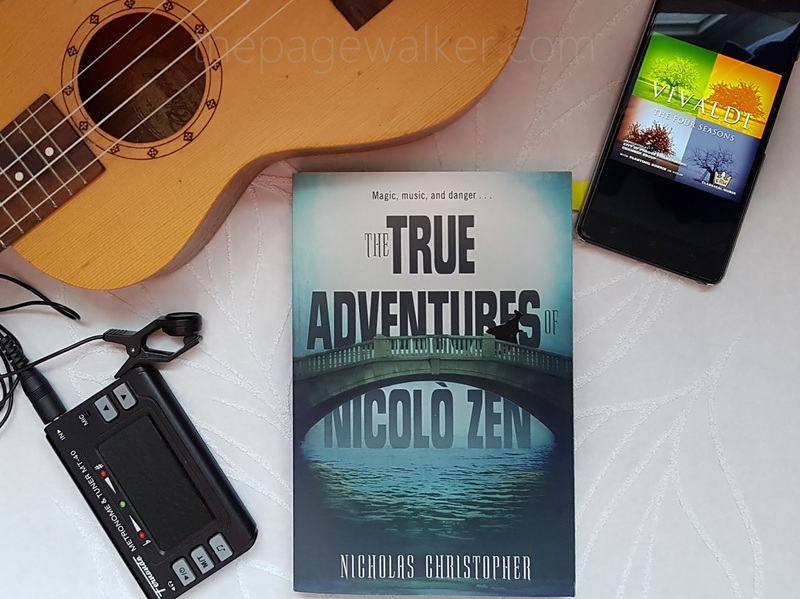 The True Adventures Of Nicolò Zen is the story of an orphaned boy, who survived poverty, a malaria epidemic, and evil. He navigated life through the kindness of a few people, his resourcefulness, and his magical clarinet. At 14, Nicolò’s village was almost wiped out by malaria. It was through a neighbor’s Samaritan nature that he survived and flees for Venice. He prowled the streets begging and playing his clarinet. After several nights of anxiousness, Nicolò decided to audition for an orphanage orchestra, pretend as a girl, and deceive Master Vivaldi himself. Despite his difficult charade, Nicolò was able to improve his music, elevate himself in the orchestra, and made really good friends. In due course, Nicolò met his clarinet’s magician maker, ascend into fame, and fall in love. Nicholas Christopher wrote a very engaging historical fiction, merging Vivaldi and his music neatly into it. It is a known fact that Vivaldi’s Four Seasons can play all day in this house if I can get away with it, which is often. Needless to say, I was taken in by the plot almost immediately because of that. And I have read this for almost a year now, it cannot be easily forgotten either. There are also tidbits of history that were assimilated, like the malaria outbreaks that plague Europe for centuries; the Venetian ospedali human trafficking, and the making of the clarinet. THE TRUE ADVENTURES OF NICOLÒ ZEN is one of those underrated books that are simply delightful and inspiring.